Bonita Springs is a town south of Ft. Myers and north of Naples in south Florida. 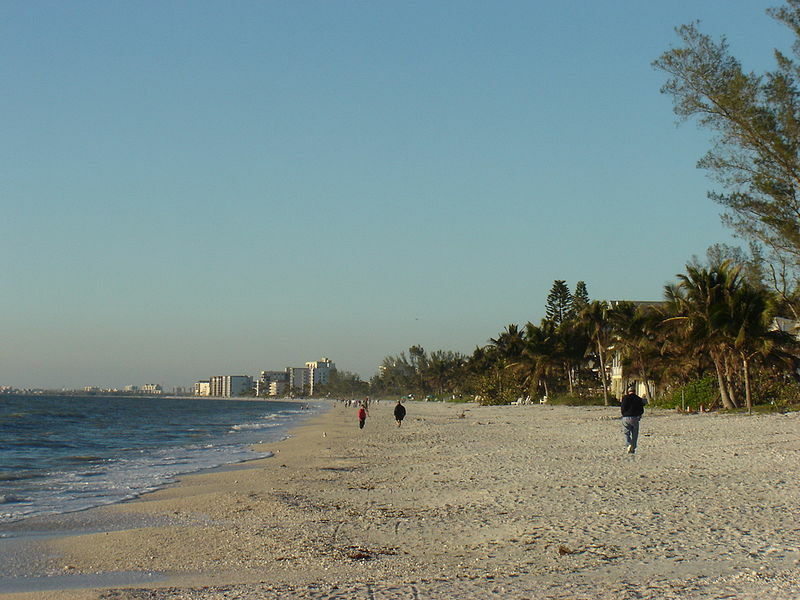 The Bonita Springs area has some terrific beaches including Barefoot Beach. In 2008 about 43,000 people lived here with an average age is 54. 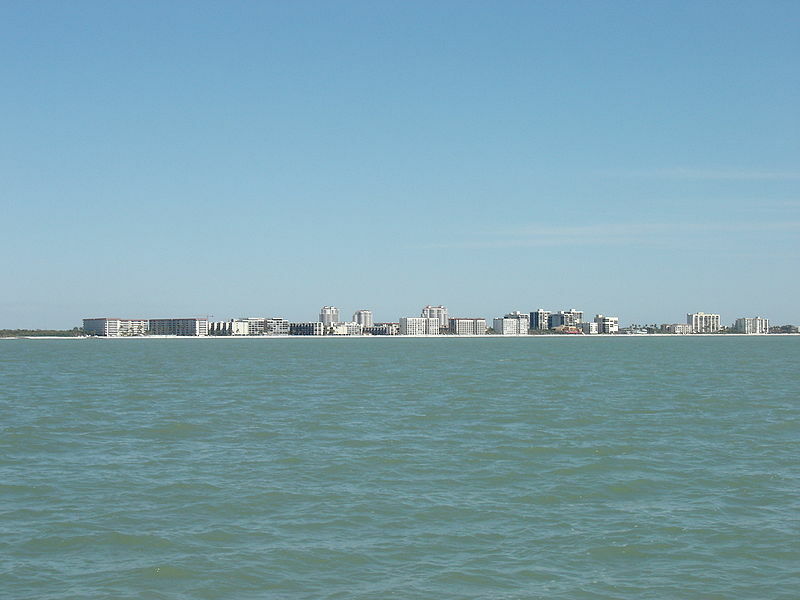 The town is very popularbecause of warm winters, easy lifestyle, and access to beaches and the Gulf of Mexico. Photos of Bonita Beach courtesy of Wikipedia and Jim Williams. There is a large selection of active adult developments. Many of them are based around golf courses. Or you can live in a mixed generation neighborhood. Like most of South Florida, Bonita Springs real estate tumbled in 2006, although not as bad as nearby Ft. Myers or Lehigh Acres. During the past several years the median home value has steadily increased and was about $335,500 in late 2018, according to Zillow. Warm winters in south Florida. Close public access to the beach and parks like: Bonita Beach Park (boardwalk and swimming area). Barefoot Beach Preserve Park -(one of the last undeveloped barrier islands on Florida's southwest coast). and Little Hickory Island Beach Park There are any different developments to live in. Prices have returned to reasonable levels after going out of control in 2006. Traffic is heavy in season. Everything tends to be new and there is not much old charm. The economic health of some developments is tenuous due to foreclosures and HOA dues defaults. Bonita Springs is on the Gulf coast, south of Ft. Myers and north of Naples on Florida's west side. Winters are warm enough that shorts and tee shirts will suffice on most January days. Summers are hot and humid and feature daily rain showers. There is some culture in Bonita Springs thanks to the programs run by the Art League of Bonita Springs. There is much more available in nearby Ft. Myers and Naples. The Bonita Springs Concert Band performs on Sundays in the winter months. Crime in Bonita Springs is lower than the national average. Nearby Fort Myers has several large hospitals and so does Naples (which also has a Cleveland Clinic). Fort Myers Airport (Southwest Florida International) is a major airport with frequent service and some low cost carriers. Seminole Gulf Railway offers excursions. Bonita Springs is below average in walkability when compared to other communities.